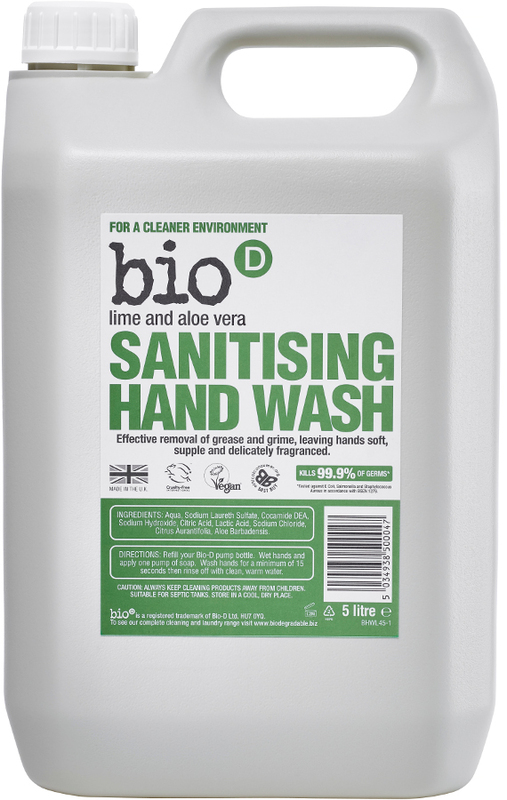 The Bio D Sanitising Handwash - Lime and Aloe Vera - 5L product ethics are indicated below. To learn more about these product ethics and to see related products, follow the links below. A good fresh smell and excellent value for money. Also works as shower gel when necessary! Buying in bullk helps to reconcile my desire to reduce plastic with my dislike of the scum left behind by bars of soap. 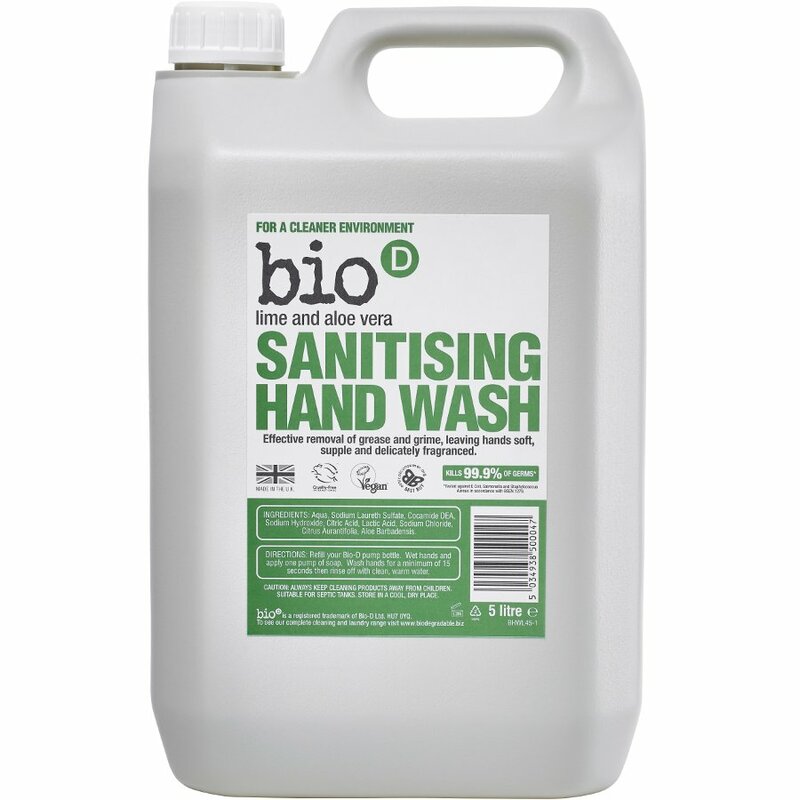 The smell of this handwash is pleasant and not too overpowering. This product is excellent value for money. Wanted to cut down on plastic, buying in bulk to refill smaller container will help, we hope.